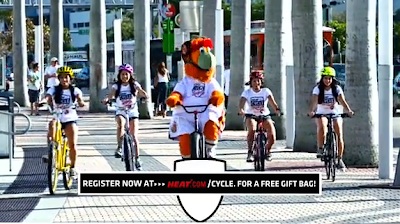 Join Coach Erik Spoelstra, the HEAT Dancers, and Burnie on a 4.5 mile bike ride down Biscayne Boulevard. The first ever HEAT Cycle For Safety presented by the Florida Department of Transportation. Registration is FREE and all participants will receive a FREE HEAT Gift Bag. 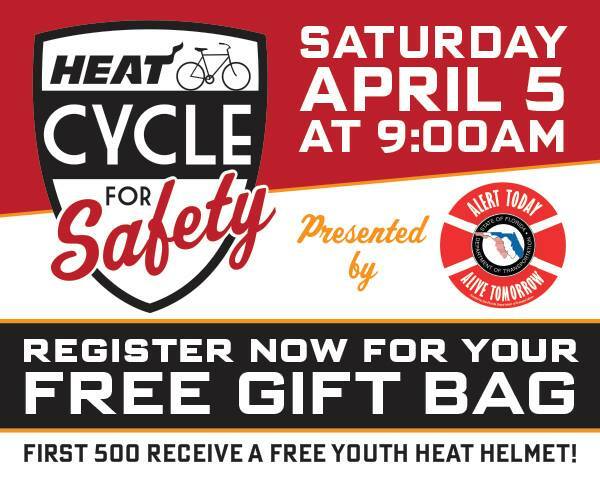 Be one of the first 500 registrants and you’ll also receive a limited edition Youth HEAT Bike Helmet. How will you know if you are one of the first 500?